UN sources said it was determined to hold a planned conference on new elections despite the surge of fighting as troops under Khalifa Haftar, leader of the self-styled Libyan National Army (LNA), continued to advance. G7 foreign ministers warned Khalifa Haftar to halt the thrust on Tripoli, which threatens the internationally recognised government there, or face possible international action. Haftar's forces were reported to have advanced into the capital's southern outskirts and taken its former international airport last Friday. The offensive by the LNA, which is allied to a parallel administration based in the eastern city of Benghazi, heightened a power struggle that has fractured the large, oil-producing country since the 2011 overthrow of Muammar Gaddafi. The United Nations aims to stage a conference in the southwestern town of Ghadames on April 14-16 to consider elections as a way out of the country's factional anarchy, which has seen Islamist militants establish a toehold in some areas. UN envoy Ghassan Salame said he was striving to prevent the new crisis from getting out of control. "We have worked for one year for this national conference, we won't give up this political work quickly," he said. "We know that holding the conference in this difficult time of escalation and fighting is a difficult matter. But we are determined to hold it on time unless compelling circumstances force us not to." Italian Foreign Minister Enzo Moavero Milanesi said Haftar must heed international warnings to halt his advance on Tripoli or else "we will see what can be done". The UN wants to find agreement on a road map for elections to resolve the prolonged instability in Libya, an oil producer and transit point for refugees and migrants trekking across the Sahara with the aim of reaching Europe. In Cairo yesterday, Egyptian Foreign Minister Sameh Shoukry said the crisis in neighbouring Libya could not be resolved through military means, though insecurity there had long been a source of worry. "Egypt has supported from the beginning a political agreement as a tool to prevent any military solution" in Libya, Shoukry said during a joint news conference with visiting Russian Foreign Minister Sergei Lavrov. There were no reports of significant fighting yesterday, but Haftar's LNA said its positions were attacked in an air strike south of Tripoli but there were no casualties. UN Secretary-General Antonio Guterres left after meeting Haftar to try to avert full-blown civil war. "I leave Libya with a heavy heart and deeply concerned. I still hope it is possible to avoid a bloody confrontation in and around Tripoli," he said. 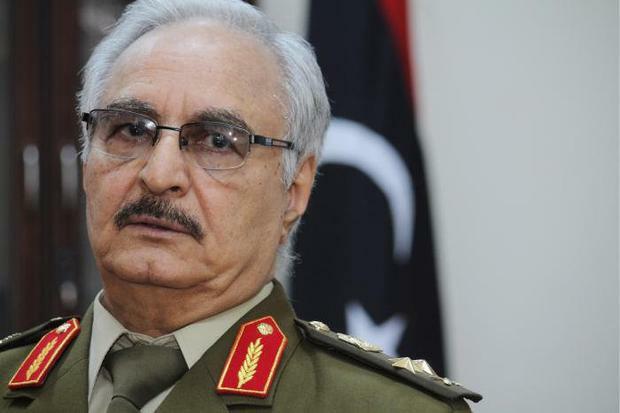 Haftar (75), who is viewed by opponents as a new dictator in the mould of Gaddafi, was quoted as telling Guterres his offensive would continue until terrorism was defeated. Tripoli is the ultimate prize for Haftar forces. In 2014, he assembled former Gaddafi soldiers and in a three-year battle seized the main eastern city of Benghazi. This year, he took Libya's south with its oil fields.